This popular species is native to hot, dry conditions of the S.W. United States. The brilliant red tubular flowers clustered along one side of tall stalks with shiny, leathery leaves are loved by hummingbirds. 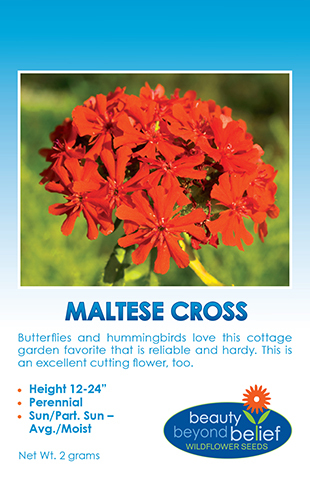 Perfect for gravelly roadsides and rock gardens. The showy blooms appear in midsummer of the second season after planting. The seeds will germinate best in cool conditions so plant seeds in the late fall or early winter in a site with full sun and good drainage. 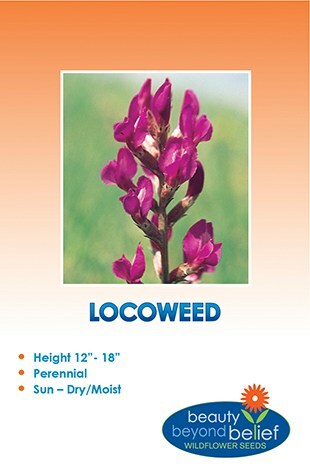 Highly drought tolerant and stunning in mass plantings. This popular species is native to hot, dry conditions of the S.W. United States. The brilliant red tubular flowers clustered along one side of tall stalks with shiny, leathery leaves are loved by hummingbirds. Perfect for gravelly roadsides and rock gardens. The showy blooms appear in midsummer of the second season after planting. The seeds will germinate best in cool conditions so plant seeds in the late fall or early winter in a site with full sun and good drainage. 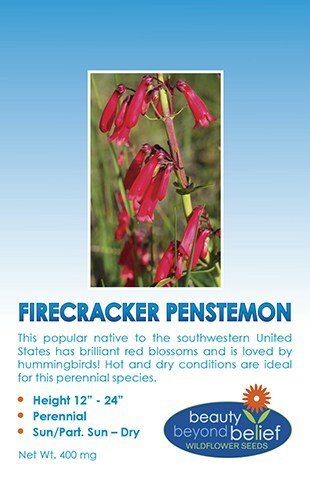 Firecracker Penstemon is highly drought tolerant and stunning in mass plantings.